Rev. 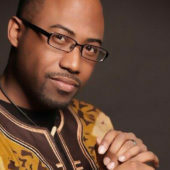 Dr. Heber M. Brown, III is the Senior Pastor of Pleasant Hope Baptist Church in Baltimore and a Team Leader of Baltimore United for Change – a coalition of activists and grassroots organizations working for social justice. As a clergy-activist, Dr. Brown has demonstrated a deep commitment to a myriad of social justice issues from poverty, to racism, the prison industrial complex, worker’s rights, environmental justice, sexism, food sovereignty and foreign policy. Dr. Brown is a community organizer actively involved in legislative advocacy as well. Between 2009 and 2013, he was a central figure in the campaign to halt the construction of a $100 million dollar youth jail in Baltimore and currently he is working to strengthen police accountability in the state of Maryland. In 2015, he launched the Black Church Food Security Network which links Black Churches and Black Farmers in partnership to create a community-controlled, alternative food system based on self-sufficiency, food justice and food sovereignty. He earned his B.S. degree in Psychology from Morgan State University, a Master of Divinity degree from Virginia Union University and a Doctor of Ministry degree from Wesley Theological Seminary. The Rev. Sam Chamelin is proud to call Carroll County, MD home, where he grew up on a family dairy farm and where he now serves as an ordained clergyperson in the United Church of Christ. 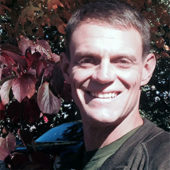 Sam is the founder of The Keep & Till, a new church expression founded on the principles of spiritual formation, sustainable agriculture, and ecological responsibility. He also serves as the Sustainability Coordinator at Gettysburg Seminary (ELCA), where he develops sustainability competencies and sensibilities for a new generation of ministry leaders. He also serves on a variety of local agricultural boards and councils, where he is a voice for sustainable agriculture and an advocate for ongoing conversation within the diverse elements of the agricultural community. He is most proud to be husband to Jennie and father to Caleb, Charlotte, and Brenna. Scott Hardin-Nieri is a newcomer to these beautiful mountains and rivers. Prior to living in Asheville, Scott and his family served in the vulnerable cloud forest of Monteverde, Costa Rica. There he learned to how to climb Fig Strangler trees, spot Two-toed Sloths, distinguish the call of a Three-wattle Bell Bird from a Black Face Solitaire and listen to people and nature in a new way. Scott is an ordained pastor with the Christian Church (Disciples of Christ) and has served as a pastor in the foothills of the Rocky Mountains in Fort Collins, Colo., as well as in Spring and Houston, Texas. Scott has a degree in Business Management from Texas A&M University and holds a Master of Divinity and a Diploma in the Art of Spiritual Direction from San Francisco Theological Seminary. Scott enjoys accompanying people during transformative experiences, whether during hikes, spiritual direction, wilderness quests, stories shared, service learning trips, live music concerts, camps or retreats. He continues to be reminded of his true self most clearly in the forests, oceans and deserts and seeks to invite others, particularly faith communities into conversations regarding creation. With his partner, Rebecca, Scott has created Fireside Asheville, a community-building event based on personal story-telling, reflective listening and service. He is most alive when playing outside with Rebecca and their two children. 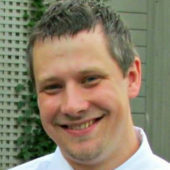 He currently serves as Director of the Creation Care Alliance of Western NC. Ms. Jillian Hishaw, Esq., is the Founder & Director of F.A.R.M.S., a legal and education non-profit that provides services to small farmers and rural youth in the Southeast. Ms. Hishaw has over a decade of local, state, federal, legal, and non-profit experience in relation to agriculture. Ms. Hishaw’s expertise is documented in her numerous law review and ABA articles. Prior to relocating to North Carolina, Ms. Hishaw worked for the USDA Office of Assistant Secretary of Civil Rights. After leaving USDA, Ms. Hishaw provided legal assistance to farmers during the settlement phase of Pigford and Keepseagle discrimination class actions. Upon completing law school, Ms. Hishaw established the Youth Conservation Corp (YCC), a summer environmental program for teen males and ex-felons in Kansas City, MO. After raising over $100,000 and employing 25 participants, in 2009 the Kansas City Parks Department adopted the program model. 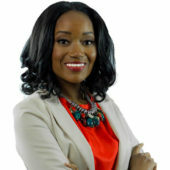 Ms. Hishaw has a Bachelor’s Degree in Biology from Tuskegee University and a Juris Doctorate and Legal Masters in Agricultural law from the University of Arkansas-Fayetteville. Nicole Johnson has had the wonderful opportunity of living in different countries, having been born in Belize City, and currently calling North Carolina home. She is deeply convicted in her belief that faithful congregations can meet the environmental, social and ethical challenges of the 21st century in practical and tangible ways. Her travels and beliefs have motivated her to seek ways of merging faith, health, sustainability, justice and ethics. She is thrilled to have the opportunity to be working with congregations and individuals in creating and supporting more healthy communities. 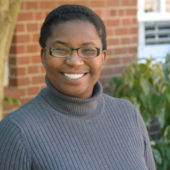 Nicole is a graduate of Salem College and Wake Forest University with a Master’s of Divinity and Master of Arts in Sustainability. Her favorite things to do include travelling, hiking, growing things, trying new recipes, and spending time with her husband and two boys. The Rev. 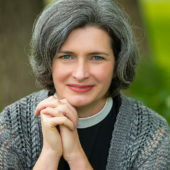 Nurya Love Parish is an Episcopal priest and co-founder of Plainsong Farm in greater Grand Rapids, Michigan. Plainsong Farm is a community supported agriculture farm, charitable food ministry, seasonal outdoor chapel, and resource for faith formation integrated with care of Creation. The farm’s first growing season was in 2016. She graduated from Harvard Divinity School in 1996, so it only took her twenty years to discern what God was calling her to do and how to begin. Nurya also serves on the Episcopal Church’s Advisory Council for the Stewardship of Creation. She created the guide to the Christian food movement, which started as a PDF in 2015 inspired by Jewish ecological leader Nigel Savage. The guide moved to a website at the end of 2016 (www.christianfoodmovement.org) and is now in first draft form. The goal is to provide a nexus for the discovery and sharing of work at the intersection of discipleship, food and agriculture, health and justice. We’re not there yet, but we’re taking regular small steps in that direction. Joe Martinez is the Executive Director for CIERTO: The “Centro de Investigación, Entrenamiento y Reclutamiento del Trabajador Organizado” (the “Center for Research, Training and Recruitment of Organized Workers,”) which organizes farmworkers around the world to collaborate with their employers and together engage the global supply chain to identify and implement opportunities to create value. CIERTO is driven to improve the supply chain through the professionalization of farmworkers for the dignity and value of all. Joe previously worked for the United Farm Workers as their Mexico Program Director. Joe attended the University of Washington and lives in Tacoma, WA. Joe enjoys playing the drums, hiking and spending time with his friends and family. Flavio Sloat is passionate about creation care as expressed through food, farming, faith and community. 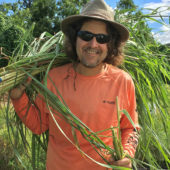 With roots in a small farming community in northern Indiana and formative years growing up as a missionary kid in Brazil, his Anabaptist perspective as Executive Director of The Fruitful Field, an urban farm in South Florida, is unique. The Fruitful Field has led the transformation of a a desolate urban landscape at a struggling church property--to abundant fields, growing edible plants and fruit trees, encouraging education, valuing creation care, and helping volunteers fulfill their gardening/urban farming passions. The farm is home to a CSA program, a community garden, bee hives, and an aquaponics system; 30-50% of their produce is donated to families in need. Along this path Flavio has facilitated the startup of two additional garden/farms in South Florida, Green Earth Community Garden (on church property) and Patricia Davis Community Garden (on city property); both gardens also donate 50% or more of what they grow. As part of community life together, Flavio and his wife Beth began a now-thriving table church called "Community Meal--Rice & Beans", gathering weekly to share a meal and life together around liturgy and prayer. Those who gather range in age from 2 to 65. Flavio and Beth are committed to hospitality around the table and living simply. 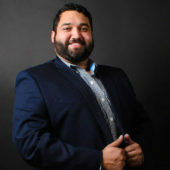 Flavio has a Master's in Sociology from Purdue University and a law degree from the University of California at Davis. Rev. Anna Woofenden is the founding pastor of the Garden Church in Los Angeles, California, re-imagining church as an interconnected organism, worshiping, loving and serving together while transforming a plot of land into a vibrant urban farm and sanctuary. Through this process she has become a leading voice in the food and faith movement, particularly in the area of liturgy and entrepreneurial ministry. At the end of 2017 Anna transitioned the Garden Church to new leadership and is now working with the Swedenborg Chapel in Cambridge Mass consulting on outreach and new ministry opportunities, as well as teaching, writing, speaking, and coaching across the country. She has also recently started, and is co-host of, the Food and Faith Podcast, convening conversations from the soil and around the table. 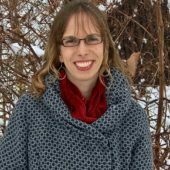 Anna received her Masters of Divinity from Earlham School of Religion and is an ordained minister in the Swedenborgian Church of North America. Anna has a passion for spirituality, justice, food, the earth, beauty, compassion, and community, and is driven by a calling to discover what it means for us to be faithful in this generation.